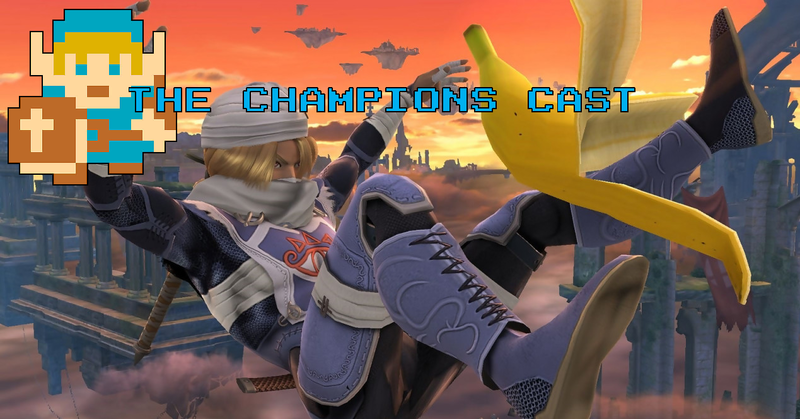 Fun and Shenanigans as We Open the Zelda/Smash Bros. Mailbag in The Champions’ Cast – Episode 35! What do you get when Andy, Kat, Gooey, and Kevin walk into a bar? Nobody knows for sure, but if I had to bet, it would sound something like The Champions’ Cast Episode 35! Taylor is away this week, so Andy recruited some of Zelda Dungeon’s finest to bring you the hardest hitting Zelda and Super Smash Bros. questions! What’s the deal with how Nintendo defines echo fighters? Who’s the “best Zelda girl”? Which character has no shot of making the Smash roster, but we make a pitch for anyways? How the heck do you pronounce Sahasrahla anyways?? And who decided to scrap Zelda III?? It’s all here and more! Join the fun and have some laughs with the gang!